I am excited to introduce a new blog series. 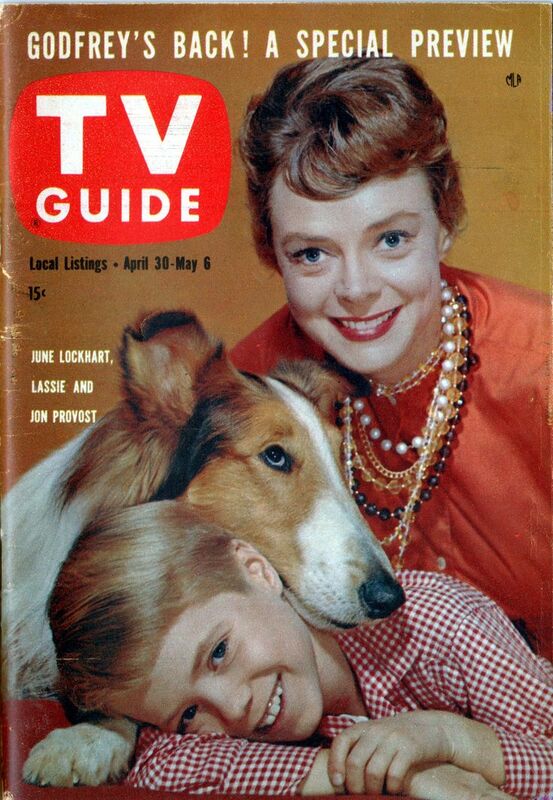 I will be profiling some famous TV dogs (both retro and more recent) here. I think this will be a lot of fun! When you mention TV dogs, most people think of Lassie first. 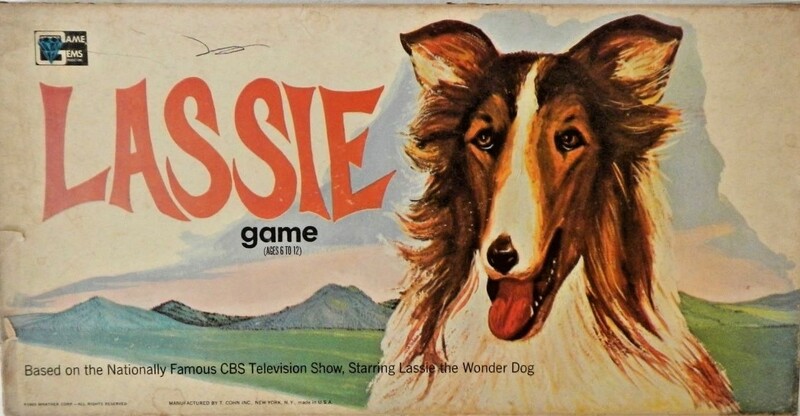 Lassie was a long running TV series that ran from 1954 - 1973. Lassie the dog was a beautiful collie. She lived with the Miller family (with their son Jeff), and then the Martin family, and was great friends to a boy named Timmy. Lassie had many adventures in the farm community where she lived. 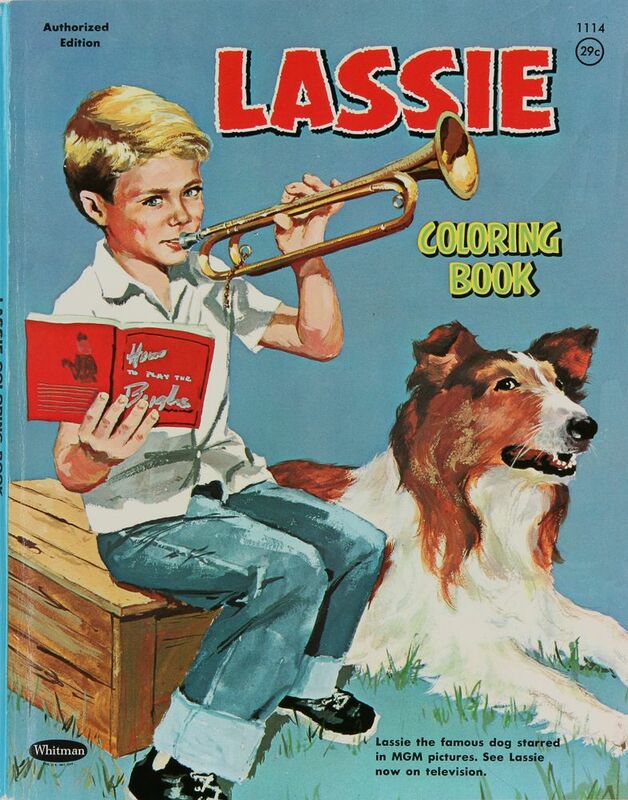 Before the TV series there was a children's book called Lassie Comes Home (Eric Knight) and a series of MGM movies. The popularity of the Lassie character was perfect for the early days of television. 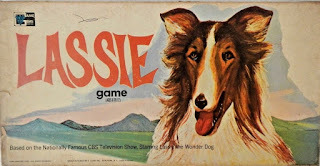 Several different dogs played Lassie over the years. They were from the same family: Lassie, Lassie Jr., Spook, Baby, and Mire. All but one of these dogs lived to be at least 17 years old! 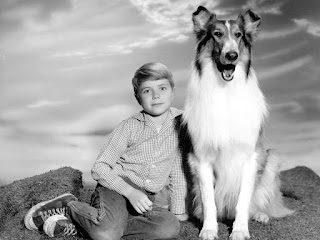 The first boy to appear in the Lassie TV show, Tommy Rettig ("Jeff") was allergic to dogs. Chloris Leachman of The Mary Tyler Moore Show briefly played Timmy's mother on the show. Lassie appeared in Keep America Beautiful posters in the 1960's with Lady Bird Johnson. 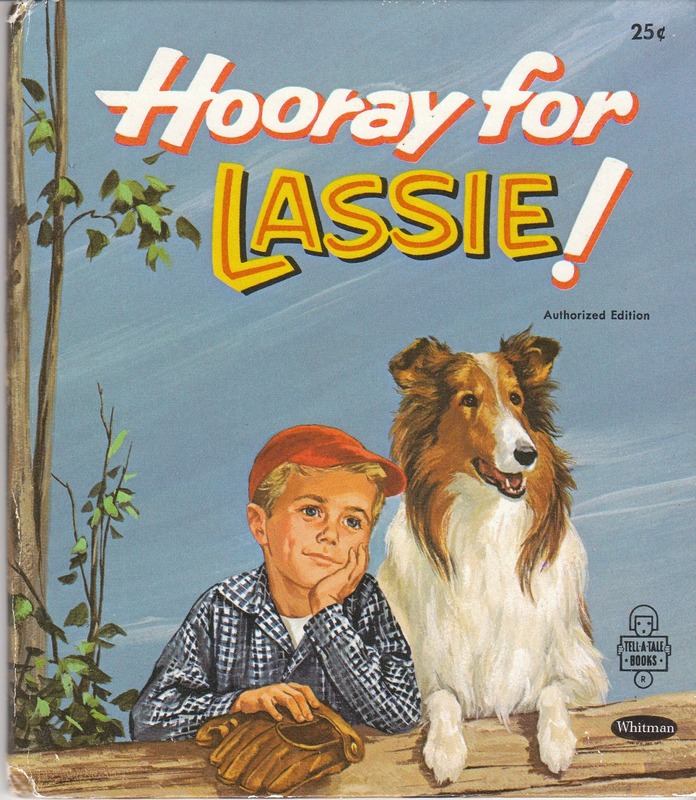 Lassie had dog friends including two miniature poodles, Buttons and Bows, and a Jack Russell Terrier named Mel. Lassie's trainer, Rudd Weatherwax, was the uncle of Ken Weatherwax (Pugsley on The Addams Family). Lassie was always played by a boy dog on TV. I enjoyed learning about Lassie, and hope you had fun reading this too! Have you ever seen this show? Are you a collie fan? Do you have a favorite TV dog? I would love to hear from you in the comments below. 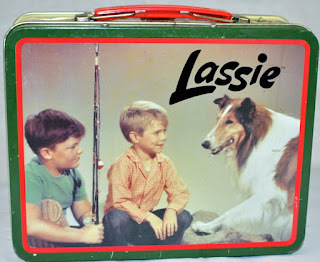 I used to be obsessed with Lassie as a kid. Serously I begged for a dog just like her! Lassie was an amazing show. Collies are great dogs. So many dogs to choose from.My fave as a girl was Scooby. As an adult, Under Dog. 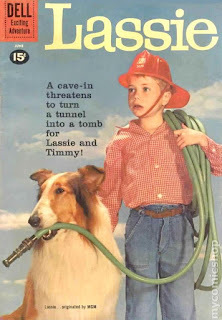 I've only watched a few episodes of Lassie, but I enjoyed reading about the show. I loved the original movie "Benji" but I'm blanking on favorite TV dogs. I've never seen the show Lassie but I've definitely heard of it and of her. 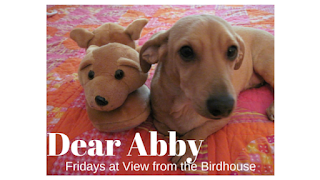 I really liked the movie AirBud when I was a kid and wished for a golden retriever of my own. I love Lassie. It is still on CoziTV every Monday through Saturday mornings. I love them all. I felt bad about George Cleveland, and the set transitioned after that. My favorite episode "The Tooth" was my fave (that solar eclipse!) and was George's last episode before he passed. I also did like those Uncle Petrie episodes, although not many. Trivia is, Cloris Leachman is one of a handful of 50's stars still not officially retired to date. I am older so I do remember Lassie. I remember always being impressed by what a lovely coat Lassie had. I like your new blog series! You had lots of interesting facts about Lassie that I never knew. I always thought Lassie was a beautiful dog (as are collies in general), but my favorite TV dog was Rin Tin Tin...a German Shepherd, my favorite breed. Abby, I look forward to seeing who your next TV dog will be. I remember watching Lassie when I was younger! I am such an animal lover, so this is an awesome series! Awww! I love it! Collie's are so gorgeous! I don't see many of them around Charlotte but they are definitely beautiful and smart. Such a fun post! I used to love Lassie! Every time I see this type of dog I always think of the movies I loved! I honestly do not think that I have ever watched Lassie. I totally know who the famous dog is though! Lassie was an amazing show! I loved watching it when I grew up! I absolutely forgot all about it until you reminded me! Oh, Lassie is a beloved t.v. dog. He is one of my favorite celebrity dogs. Lassie, such an iconic dog and TV show. I remember watching reruns when I was a kid. Thank you, friends! I enjoyed reading your TV dog memories. My Momma said she watched Lassie sometimes but not regularly as a little girl.